This past week I had the pleasure of seeing a wonderful documentary about a man who most certainly embodies Century Cycles' motto "Define your life. Ride a bike." 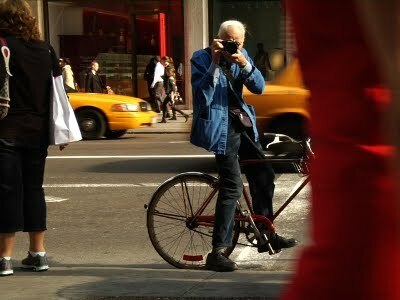 "Bill Cunningham New York" tells the story of the New York Times photographer who is in his 9th decade of life (yes, that's a fancy way of saying he's over 90) and is riding his 29th bicycle (the first 28 got stolen). Cunningham pedals around Manhattan almost daily, putting miles and miles on his bike as he lovingly, selflessly and almost obsessively captures the fashion zeitgeist of the city and serves as one of its most loyal cultural anthropologists. See you at TOSRV this weekend! Let's celebrate National Bike Month!